Presentation of NLX in the EPICENTRE Column Technology category. 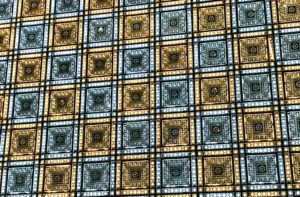 Share the post "The paying innovation strategy"
NLX light solutions with 2880 luminous elements in the Moucharabiehs of Institute of the Arab World in Paris. Share the post "NLX Light Solutions for the Moucharabiehs of the IMA"
Two years of work will have been necessary to build this structure avenue de Châteaudun in Blois. Sports, concerts, cultural events and congresses, NLX solutions have been selected to meet all the requirements imposed by these events. Share the post "Sports & Concert Hall"
Article Epicentre sur l’éclairage Vineo®. La lumière est capable d’entraîner des interactions, notamment dans le monde du vivant, qui offrent d’autres possibilités d’applications que le simple éclairage…. 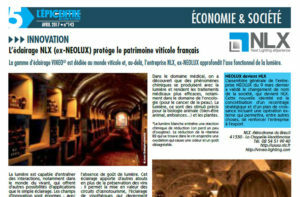 Share the post "Vineo® dans L’Epicentre n°143"
The Moucharabiehs of the library of the Institute of the Arab World were highlighted by NLX. 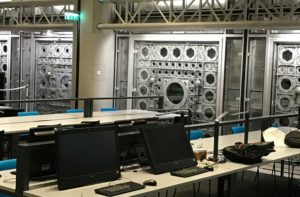 On the occasion of the thirtieth anniversary of the IMA, its President Jack Lang inaugurated the renovated library of the Institute of the Arab World (Bima) under renovation since 2014. 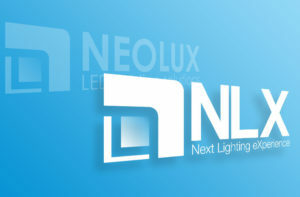 Share the post "NLX illuminates the IMA Library"
10 years after its creation NEOLUX LED lighting solutions became NLX and remains the specialist in the design, integration and marketing of innovative LED lighting solutions for professionals. 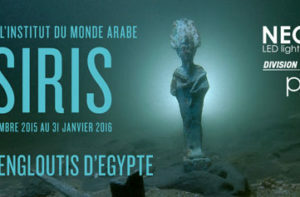 Share the post "NEOLUX becomes NLX"
From 8 September 2015 to 31 January 2016 you will be able to admire the exhibition OSIRIS enhanced by LED lighting solutions of our PROJECTS division. 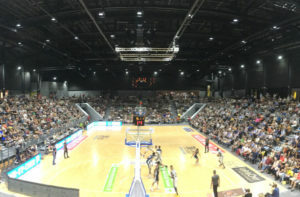 Share the post "Highlighting the OSIRIS exhibition"
Saturday, August 22, 2015 Team France Basketball received Belgian team in the Palais des Sports Ratte Pierre Saint-Quentin (02), a newly renovated room and now “enlightened” by NEOLUX LED Lighting Solutions. On this occasion, we officially became technical partner of FFBB. 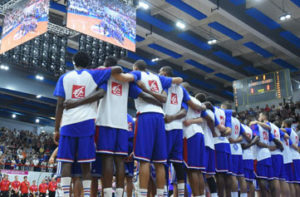 Christian Lecomte, president of the Hall and Grounds Committee, certify that the LED lighting solutions of NEOLUX company for buildings and sports complexes are recommended by the French Basketball Federation. “The Basketball is evolving in human terms, but also technological and technical. We had to adapt to the specificities of the sport, the playing conditions more and faster, and the constraints imposed by television coverage. 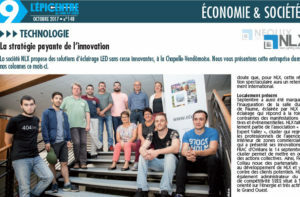 Our expertise on the efficiency, economy and the sustainability of our LED lighting enables us to offer tailor-made solutions for high-level facilities projects such as Saint-Quentin. “. Share the post "NEOLUX become the official technical partner of FFBB"